Donate a car to charity is a good decision as for the society as well as your tax deduction. By donating your car to any charity centers, you can easily deduct your tax amount, but, yes, there are some technical procedures and formalities also, which must be done through the both parties. Find out & Investigate the charity center with a very error free process, where you want to donate your car- As I said, all are not alike, as everything cannot be the same, so before getting gripped by an unscrupulous charity centre, you should judge them all and have to go for the best one. There are various procedures to judge them, and the main of it is go through with the documentations and test that those are real or not. Documentation procedures make sure that the organization is technically sound, and chances of being fake are less. Before donating your car to a non-profit car donation centre, check out that centre’s tax fillings– You can make it sure by logging into the irs.gov. Here the steps are given to you – Click on the charity tab – Then non-profit tab – Charities key at the left. And also, by these sites name charity navigators, guide star etc. You may also check it by visiting the attorney general’s office, that is there any complaints are registered for that charity center or not. And go for it. Deduction checks out- As I said, you should receive a tax deduction when you will donate your car. Here, make sure that the centre is eligible to receive the tax deduction contributions. Ask them, for their previous records, the IRS letter for determination. And if they sound with that, then it verifies their tax exempt status. And be sure that, after that procedure you will get a receipt from the centre for your car donation. Another tax deduction tip- If the charity centre is saying that it will sell your car to you at a less price, for your tax deduction. Then it is being recommended to you, that, it is not even a good idea. Because the more competition is as the higher the selling price should be. Auction cars to the other charities- It’s a good idea, because when you are selling your already used car the most wanted thing is to donate the car at least in a good shape. Like, after buying if the car needs to be repaired, then definitely it will affect the bidding price of buying. Especially it happens, because when a buyer enters the auction, he has to bear out a fee and the next fees for the buying price. So that can be considered an addition amount to the bidders. Watch out process- At that condition, if you are donating a car with a totally good condition, then obviously anyone will buy it soon with a handsome price. Besides the little fair condition cars are taken by the dealers, and yes, with a good amount because they may want to avoid the fees charged by the auction facilities. And if the donated car is in a bad or very poor condition the a parts-seller will buy it with a good mean regal amount of price, and then sell its usable parts with a top amount and then will take the scrap metal of the car. So, friends, cities like California, Florida, Texas, the procedures are same, and these are also applicable in India. So, at the point if you are planning to donate your car, then be very careful about that centre and for your tax deduction, and always take the regal slips/receipts from the charity centers. 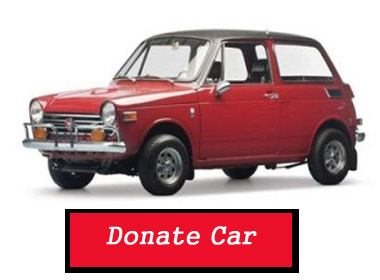 Get info about how to donate a used/old car to charity for tax deduction and know how to get a dealership to donate a car for charity in california, florida, texas, india etc.